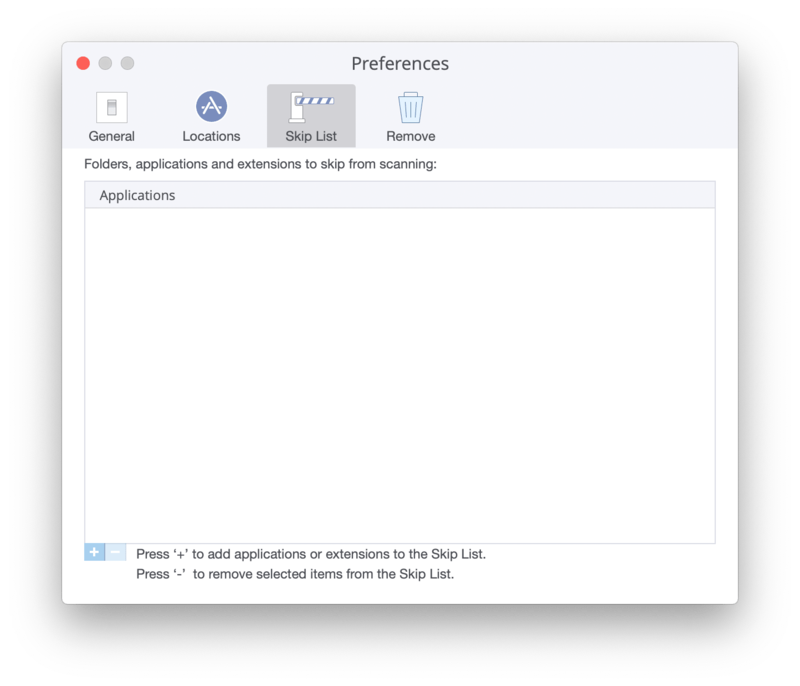 App Cleaner & Uninstaller scans all applications installed on your Mac and then lists them in the left-hand column. However, you can exclude needed apps from being scanned with App Cleaner by changing the scanning options in the app’s Preferences. 1. Go to Menu → Preferences → Skip List tab. 2. Click the + sign in the bottom left-hand corner to add all needed applications to the Skip list. The next time you run App Cleaner & Uninstaller, programs on the Skip List will be excluded and will not be scanned.